Camila Carlow sculpts human organs from foraged flora. The result is perfection. I must have one of these amazing Rorshach-inspired Ink Blot mugs by We Love Kaoru. I enjoyed reading about the intention and technique behind this huge gold leaf painting by Richard Wright. I loved Monica Moody's post about her experimentation with printmaking. Did you know there is a home swapping site exclusively for artists and designers? I can only imagine the meticulously creative homes in the mix! This 15th century church in the Netherlands turned shop and cafe is simply amazing. 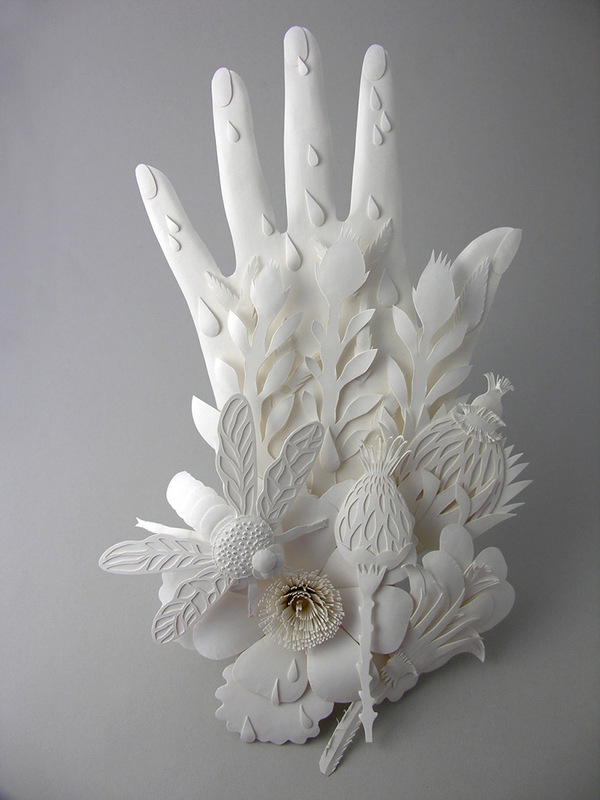 I'm in love with these cut paper sculptures and illustrations by Elsa Mora.